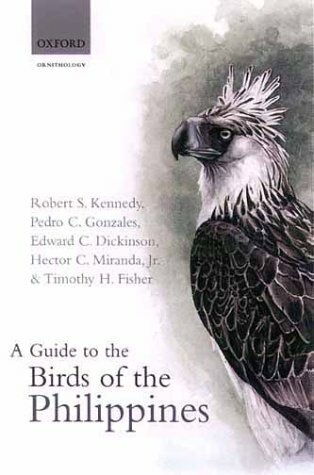 This guide covers all 572 species of birds known to occur within the 7100 islands that make up the Philippines. The Philippine avifauna includes some 170 endemics - species that are not found anywhere else in the world - and is thus of interest to avid birders around the world. Many of these species are also endangered, due to the high levels of habitat destruction in the Philippine forest, and this book is also urgently needed by conservation workers in the region. The guide is illustrated by 72 specially painted colour plates that show all but the three most recently described species. Its text gives detailed information about the plumage, voice, range, distribution, status, habitat, life history and behaviour of the birds and is accompanied by distribution maps for all the species described. The expert team of authors and artists includes two prominent Philippine ornithologists, and has combined field experience totalling over 60 years.